Yet another T-shirt design. 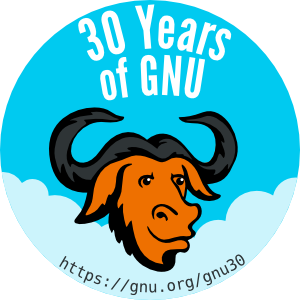 With an oxymoron slogan – I’M GNU/LINUX EVANGELIST. 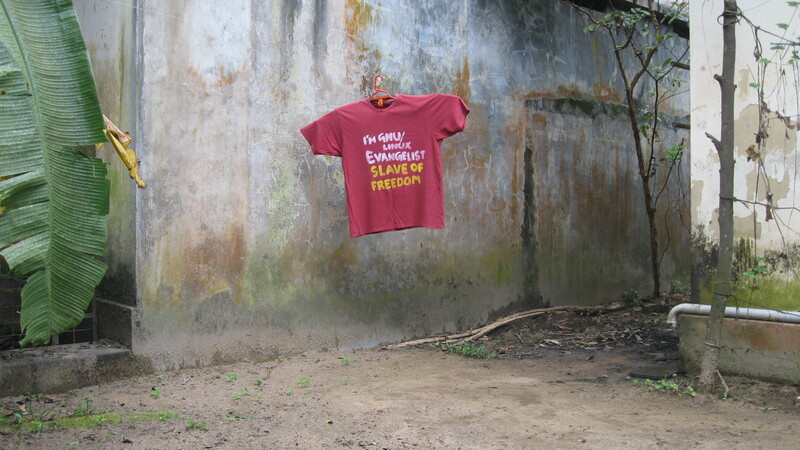 SLAVE OF FREEDOM. I have planned to create such a T-shirt for so long. I know it is not a great one, may be ridiculous. When using the acrylic paint with fabric medium, the print gets some unwanted strokes and all. Then I tried painting without the fabric medium. The yellow portion in the design is done without it. 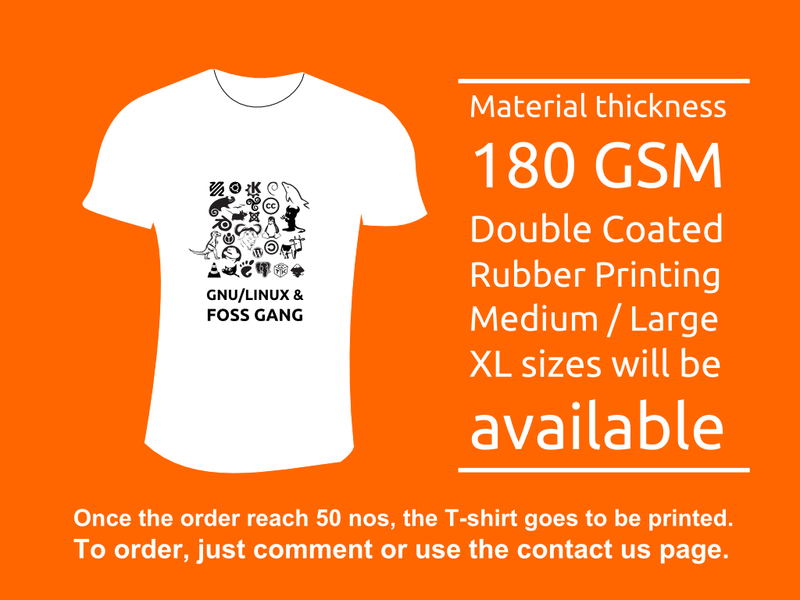 Have decided to print the next T-shirt – MEET OUR FOSS GANG. 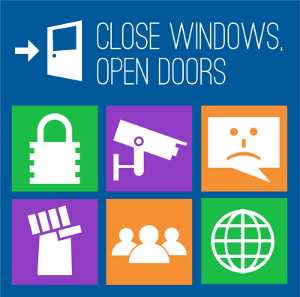 With the following logos. FFMpeg / Ubuntu / KDE / Debian / MySql / Suse / OpenOffice.org / Trisquel / Creative Commons / Blender / XFCE / Joomla / Tux / BSD devil / Mozilla / Wikimedia / GNU Head / Copy left / Larry the cow / Redhat / WordPress / Videolan / GIMP / Gnome / PostgreSql / GTK / Inkscape. 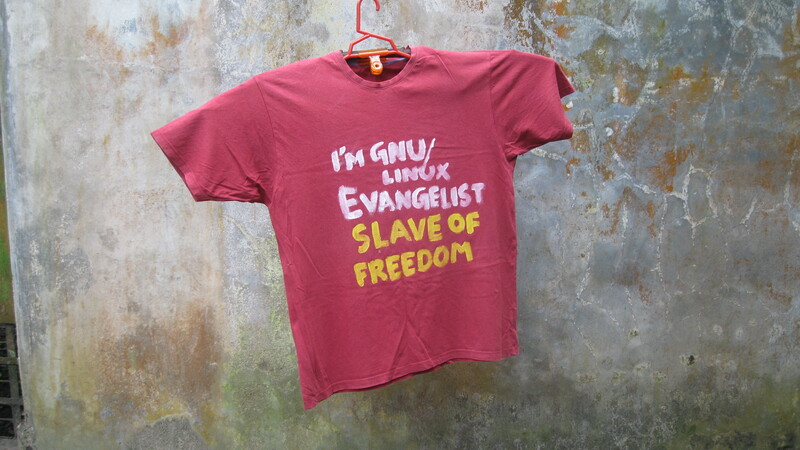 The caption will be either MEET OUR FOSS GANG or GNU/LINUX & FOSS GANG. Anyway your comments on the caption is always welcome.